The following characters have been chosen for this list because the are some of my favorite characters of all time, but also because they have taught me something about life. These characters have impacted my life through playing the games they are in, in one way or another. Now, I feel to need to tell you all that Lara Croft is not on this list. She has been taken off the list because of the fact that she is my all time favorite and I could really write a whole article on just how she has impacted my life, but I’d rather highlight some other, less obvious characters. I’d also like to invite you all to comment and share the characters that have taught you things or impacted your life in anyway, I’d very much like to see other people’s important characters. So I hope you enjoy this list, and be sure to comment with your life-impacting video game characters! Zack Fair is a strong character, and is also very important to the Final Fantasy VII storyline. Final Fantasy VII happens to be my favorite game in the series. I’ve always had a soft spot for the story, characters, and even the flawed gameplay and poor graphics. In March of 2008 Crisis Core was released for the PSP as a prequel to the Final Fantasy VII story. 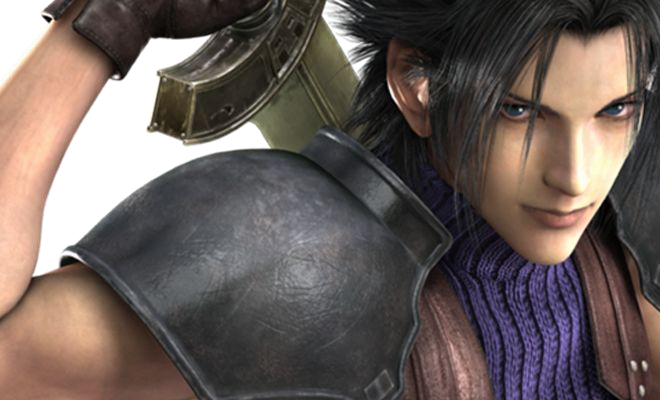 The main character of Crisis Core is Zack Fair. In short, Zack Fair was a member of SOLDIER (1st Class) and the owner of the classic Buster Sword before Cloud Strife. Cloud, a simple soldier working for Shinra Electric Power Company at the time, met Zack on the job and they soon became best friends. Zack, who was a strong willed and fun loving fighter, took care of the sad little Cloud who only wished to one day be as cool as Zack and be a member of SOLDIER. Due to unfortunate circumstances, Zack was killed in action leaving Cloud racked with guilt and a need to take over where Zack left off. Zack never let the power of his position (SOLDIER, 1st Class) go to his head, he could have, but he didn’t. He was kind, caring, and also independent. When Cloud needed a friend, Zack was there and he never let anything get him down. He is a character we should all take notes from, he taught me that life can deal you a bad hand but staying strong and positive is very important. He impacted my life through showing that compassion is in the hearts of the best and strongest people. Now, before I get into this one, I must preface that I am talking about the evil version of McGrath. In the game InFamous you can choose to play his as a hero or a “villain” and I mean to discuss my favorite version, the “villain”. 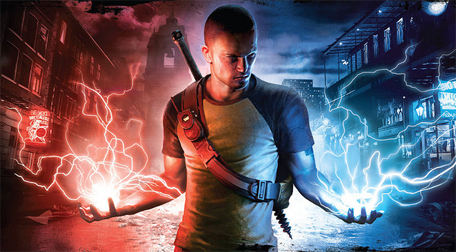 In InFamous, Cole McGrath is the main character and the character who you play as. At the beginning of the game he is involved in an accident which destroys a good portion of Empire City and leaves Cole with an abnormal super power – the ability to create and control electricity. The reason I chose the “evil” version of Cole, and the reason I keep using quotations on certain words, is because this version is more relateable and I’ll now explain why: When Cole is involved in the perviously mentioned accident, everyone in Empire City blames him for what happened, even his own girlfriend – whom he loves. He was just a delivery boy of sorts, his job was to deliver packages across the city and he was sadly dealt the crap hand of delivering this specific package. What happened wasn’t his fault, but the people of the city refuse to accept that, so I chose to become “evil” and look out for myself and those I care about, even if they are ungrateful and rude like Cole’s girlfriend Trish. Evil-Cole impacts my life by showing me that sometimes no matter how hard you try, you wont be able to please everyone, even if you are innocent and have done no wrong. Sometimes you have to take matters into your own hands and just look out for yourself and those who really care about you (in Cole’s case, that’s Zeke). Also, no matter how hard you try to apologize for something you weren’t necessarily at fault for, some people just wont forgive you and you have to move on. Isaac Clarke is the main character of the Dead Space series. He is a very interesting character who we can learn a lot from. In Dead Space, Isaac is subjected to the horrors of the USG Ishimura and the necromorphs that inhabit it. Throughout the game he is trying to find his girlfriend Nicole who was stationed on the Ishimura, he learns that she died, and begins become insane. In the second game he keeps seeing her, and she talks to him even though he knows that can’t be possible. He knows she is dead but can’t seem to let go of her and because of the Marker, which contributes to the necromorphs and the insanity in Isaac, all of this is amplified. Throughout the game the player gains sympathy for what Isaac goes through, I mean he is constantly facing necromorphs while getting the crap beat out of him and he is almost always alone. He goes through a whole lot of stuff, all the while he is going crazy and is unable to deal with his own mind. What he teaches me and how he impacts my life is in the way that he lets go. He is pretty much in the hell hole of life and his girlfriend dies, yet he continues to push forward. 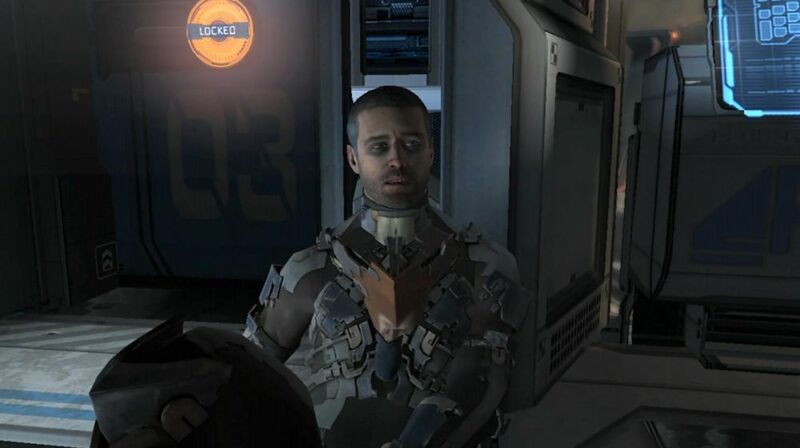 In Dead Space 2 he learns to forget Nicole – to let her go. To accept her loss and move on with his life. This is important for everyone when they lose a loved one, we have to learn to let go and carry on. To be there when we are needed by those who are still with us. Alice is a fascinating character, and she has an amazing imagination. 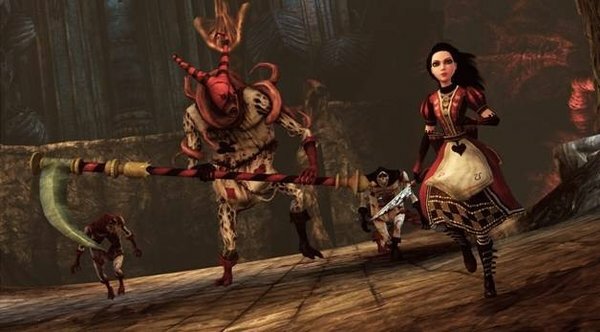 In the American McGee’s Alice games, Alice has a darker past than Lewis Carroll’s Alice. The main story behind McGee’s Alice is that her family was burned alive in a terrible house fire, but Alice escaped. She is plagued with the guilt that the fire was her fault and that she is to blame for their deaths. She becomes insane and is committed to a mental institution. Because of this, Wonderland is plagued with evil and insanity – it is falling apart. Alice must strive to put things back together, to the way it should be. In this process she learns little tidbits that help her remember what actually happened to her family, and she is enlightened. She learns that it wasn’t her fault, and she figures out who’s fault it really is and exacts revenge. She has taught me that imagination is key, and you can’t let it be plagued with negativity. We can grow through having a strong imagination, but we can also be brought down by it. She has impacted my life by showing me that even when you think you are stuck, and things just can’t get any worse, you have to strive to find the truth of life and make things right. You must try your hardest to fight for what you want in life, and you cannot let the negative people around you bring you down with them. Never settle for what is given to you if you don’t want to, Alice didn’t and she succeeded. Uncharted is filled with awesome characters that make you just want to love them all over (mentally guys, let’s keep this G-rated). 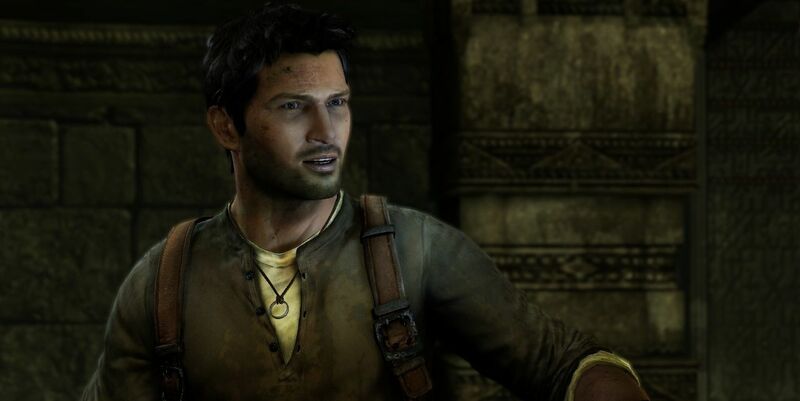 Characters like Elena Fisher and Sully are awesome, but Nathan Drake is amazing. Nathan Drake is an adventure seeker, and throughout the three Uncharted games you really get to see just how dedicated he is. He is a cocky, funny, determined, charming, but also caring and considerate of those he cares the most for. Drake keeps his friends, like Sully and Elena, very close by and he protects them with his life. Nathan is always trying to stop the evil people in the world from getting what they don’t deserve, and what they don’t understand and shouldn’t delve into. He meets many people throughout the three games, some you learn to love, some you have to hate. Over the series you get to understand the bonds between he and the people he cares about and you realize how important they are to each other. He is good person with strong morals and is willing to go where no one else wants to in order to do what is needed to be done. He has taught me that determination is the key to being happy. You have to have determination to get what you want in life, not everyone gets a lucky break when it comes to important things in life, most people have to remain determined to achieve their goal, and Drake is a good example of this. 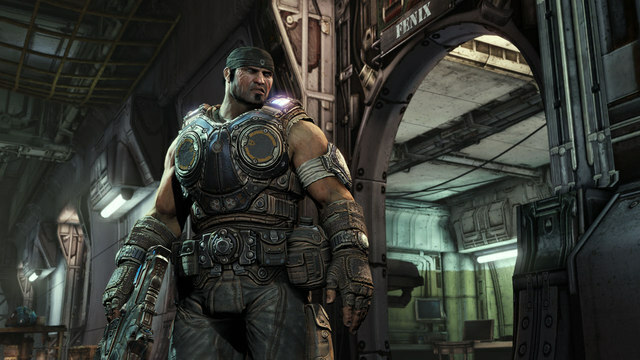 Marcus Fenix is a man of few words, but he doesn’t need words to be awesome. Fenix was raised by two brilliant scientists, and his father was Adam Fenix who is widely renowned for his work for COG. Marcus was raised to be a scientist, but he never wanted that, schooling wasn’t his thing. Don’t get me wrong, he is smart but he would rather be out in the grit of the battlefield than in a lab watching from a safe distance. He is quiet and methodical, he knows what he can accomplish and what he can achieve, but he doesn’t need long speeches or carefully worded monologues to show it. He uses actions, and after all, actions speak louder than words. When Marcus joined the COG, he knew it was what he wanted to do, but he also knew it was exactly what his father wanted him not to do. He had to have the courage to stand up to his dad, and fight for what he believed was best for him. Marcus Fenix has taught me that strong actions require strong people, and not just strong bodied, but strong willed. You have to stand up for what you believe in. He has impacted my life by showing me that what you may want to do in your life may not be what others want from you, but you have to stand up for yourself and stand up for what you want. It’s your life, live it how you want because you never know when it will be your last day. Garrus Vakarian. That right there could have been the end of this article due to his sheer epicness, but I will digress. Garrus Vakarian first makes his appearance as a C-SEC officer in Mass Effect who is trying to uncover more information on the enemy Saren, but it at a stand still. He joins up with Commander Shepard in order to learn the truth, and ends up staying for the rest of the series. 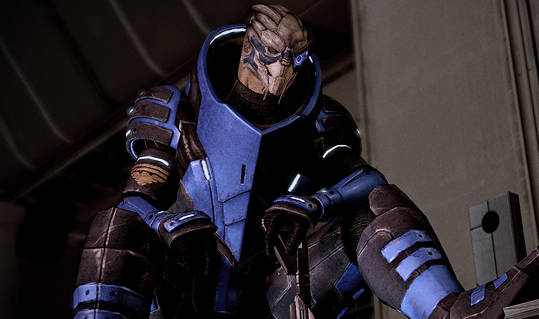 Now, as a female who played a female Shepard, I must say that having Garrus as my romantic interest was amazing. He is a very sweet person, but is also very awkward with romance. Regardless of your Shepard’s gender and regardless of who you picked as your romance interest, Garrus is a true friend throughout all three games in the series. He is always there to back you up and is always there for help when needed, unless he is calibrating. Garrus has taught me that friendship, even in times of disaster and catastrophe, is one of the most important things in life. Having true friends can be the difference between life and death in those sticky situation, and you need to have someone you can always count on. He has impacted my life through is endearing friendship to Shepard, through thick and thin they stuck together when it counted. 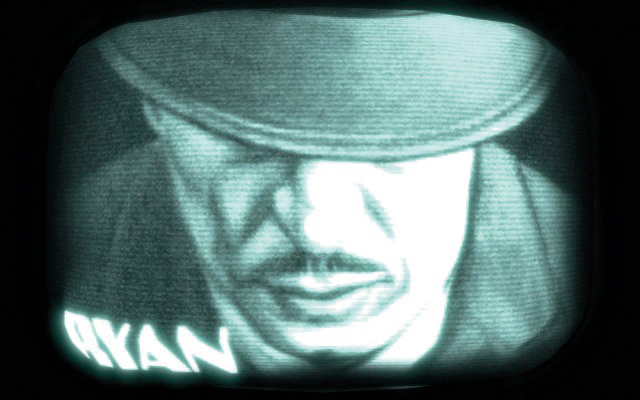 Andrew Ryan is one of the single most influential video game characters. He is smart, cunning, and has quite the way with words. In Bioshock, you learn that he created the idea of Rapture, that he funded the city and that he built it as an escape from governments and religion on the surface. Ryan wanted a place for people to do what they could without morals or guidlines telling them they couldn’t, a place where people were free to believe what the wanted – as long as it wasn’t organized religion. He wanted a city away from the parasites of the world, and so he created Rapture. He hand picked the people that would be invited to live in Rapture, and those people soon made their homes there. One of Ryan’s most memorable quotes is: A man chooses, a slave obeys. That brings me to why he is so impactful to me. Ryan created something that was almost unfathomable, a city under the ocean. He kept it prosperous for a good period of time, heck if it weren’t for Frank Fontaine he might have been able to keep it going forever. He taught me that having an idea that may seem silly or improbable doesn’t mean it can’t be achieved. If you try hard enough, and put enough effort into something, you can achieve anything. We must remember that we shape the world we are in, settling for what is around you just because you have to shouldn’t be the case. Strive to achieve your dreams. Compassion, kindness, imagination, and perseverance is what your article speaks out the most. How we must not only have the will, but we must do the things we believe in. Isaac Clark was just a normal man, an engineer that had to survive. I love characters like Nathan Drake, and I’ve been watching Indiana Jones, lots of similarities there. Marcus always stood by his friends and family. Garus, socially awkward with good intention. It’s like looking in the mirror. And everything is wrapped up with Andrew Ryan, a man chooses, a slave obeys. We must choose for ourselves and not believe in everything people tell us because often times it is wrong and uneducated. Believe, imagine, dream. I’ll just write down the first characters that come to my mind. The Prince from both the Sands of Time series and the 2008 Prince of Persia. In the sands of time I learned a lot about accepting your mistakes, accepting the consequences because even changing time won’t change everything, and may turn us into a shadow of our former selves. In the 2008 Prince of Persia, the love he has for Elika has description, he stands by her and does everything he can to protect her and see her dreams come true. Both of those characters showed strong determination. Sonic, the blue fast dude that lives his life without a care and never takes the time to blame people. He just does what has to be done. And if it wasn’t for Sonic Adventure 1 and 2, I wouldn’t be as much into music as I am now. Wow that was long. TL;DR: You made an awesome post. Thank you so much 🙂 I appreciate the feedback as always! Great selection especially Cole and Andrew Ryan. Nice interpretation of Ryan’s character as well. Never though of him as inspiring those things, but the more I think about it now the more it makes sense!